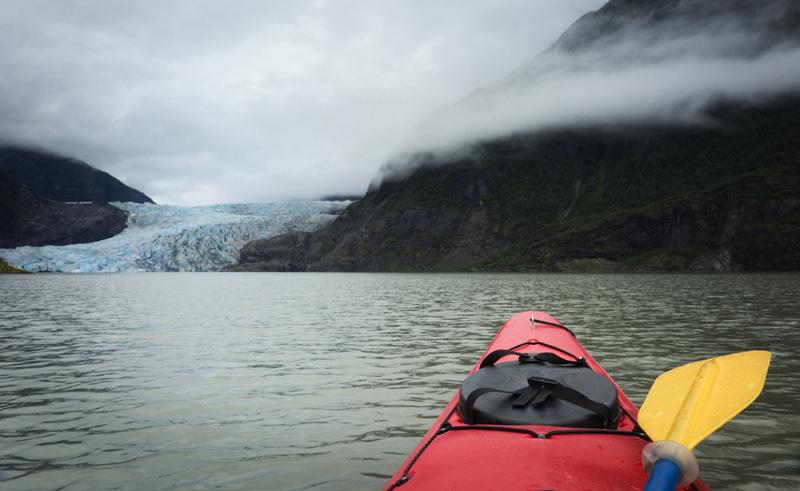 Juneau’s scenic coastal regions are a pleasure to explore by kayak, where lush rainforest and majestic mountain peaks welcome you into a spectacular wilderness. Wildlife is often spotted on these leisurely paddles, including seals, eagles, porpoises and sometimes even whales. The Mendenhall Wetlands are always a highlight, even for the non-birder, as the area teems with more than 140 species of bird, almost a dozen variety of mammal and an abundance of marine life. Views of the Mendenhall Glacier are nothing short of stunning, where blue-white hues are bordered by lush alpine terrain. Sitting in silence before this icy monument as it groans and crackles is a solid reminder of the steady power of water and ice. Tour includes loan of rain gear and life jackets, light snack, transportation from Juneau to Douglas Island, kayak equipment and instruction from an experienced guide. Using stable two person sea kayaks, this experience is suitable for beginners.